While stateside collectors are focused on the Nike LeBron 9, the Asia-exclusive Air Max Ambassador IV continues to quietly surface in new colorways abroad. While stateside collectors are focused on the Nike LeBron 9, the Asia-exclusive Air Max Ambassador IV continues to quietly surface in new colorways abroad. The pair pictured here sports a black leather and mesh upper, with tonal embossed lion and grid detailing on the heel and toebox. 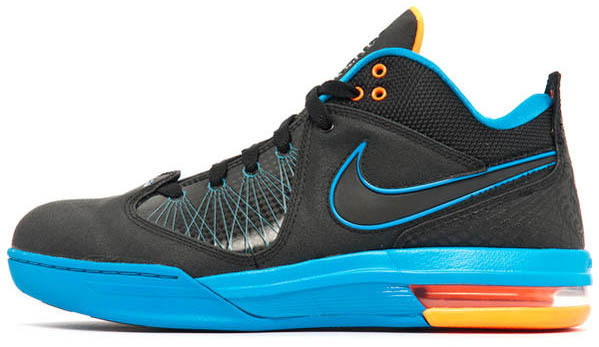 Neptune Blue works the Swoosh border, Flywire, inner lining and midsole, while Total Orange pops on the upper eyelets, tongue padding and Max Air bag. 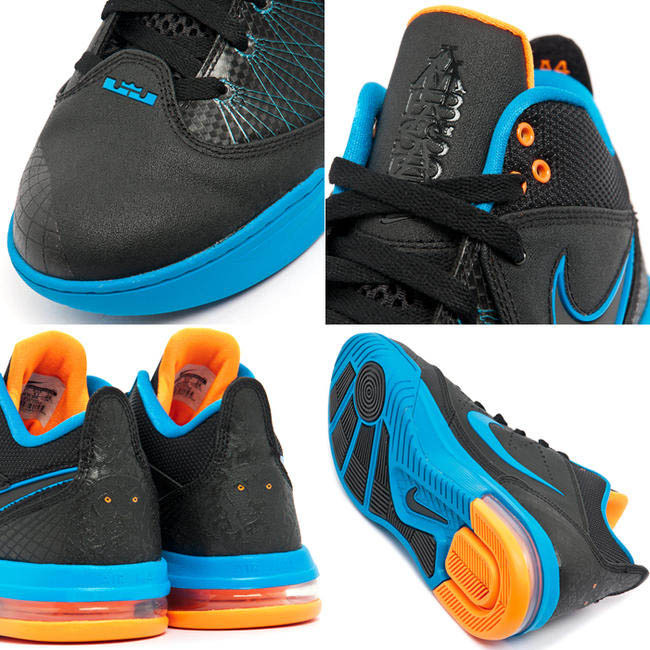 All three colors finish off the outsole below. The Nike Air Max Ambassador IV is available now at Asia-based retailers like EST premium.